Burning Blaze (Archie). 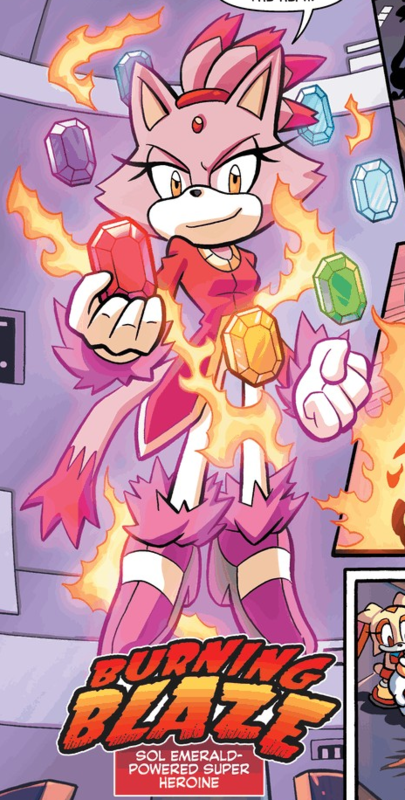 Burning Blaze's first appearance in the Archie Comics, in Sonic Universe 58. Wallpaper and background images in the Blaze the Cat club tagged: photo blaze cat burning blaze archie. 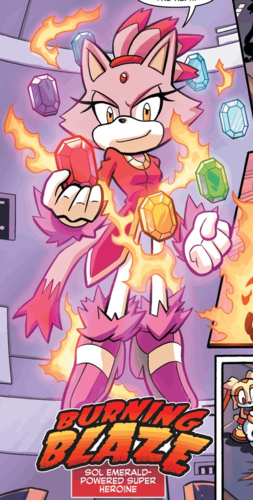 This Blaze the Cat photo contains anime, comic kitabu, manga, cartoon, and mkono. There might also be kubadilika kioo dirisha.